Ray tracing goes mainstream as prices go upstream. 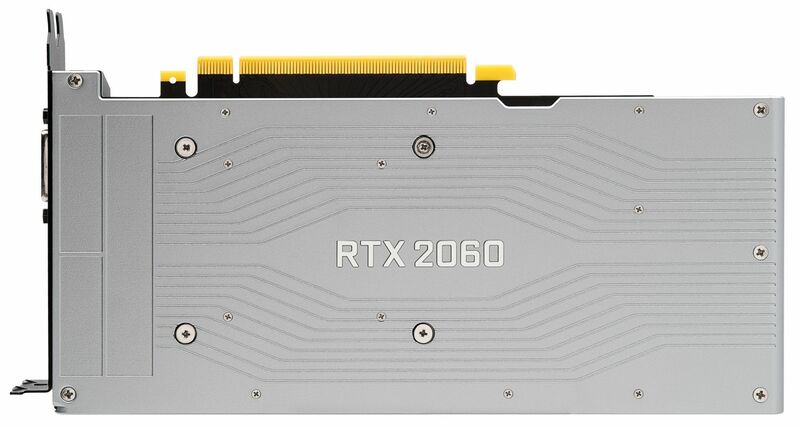 After debuting in luxury-priced enthusiast graphics cards exclusively, Nvidia’s real-time ray tracing is finally coming to the masses with the GeForce RTX 2060—although this $350 graphics card, as powerful as it is, skirts the upper limits of what could be considered mainstream. Yes, the GeForce RTX 2060 maintains the inflated pricing of other RTX options, which effectively bumps the cost of each performance tier up a notch. The $700 RTX 2080 costs as much as last generation’s GTX 1080 Ti; the $500 RTX 2070 mirrors the price of the GTX 1080; and while the last-gen GTX 1060 cost $260, this new RTX 2060 moves into the GTX 1070’s previous territory with a $90 price hike. But while the RTX 2070 and 2080 largely delivered performance in line with their similarly priced predecessors, you get a bit more with the GeForce RTX 2060. Not only does the card pack the dedicated RT and tensor core hardware that gives RTX GPUs their cutting-edge ray tracing capabilities, it trades blows in traditional game performance with the $450 GTX 1070 Ti rather than the $380 GTX 1070. So does that make Nvidia’s GeForce RTX 2060 Founders Edition a worthwhile purchase? Let’s dig in. The GeForce RTX 2060 packs a slightly cut-down version of the TU106 GPU found inside the RTX 2070. The card has only 20 percent fewer CUDA cores than its bigger brother, but crams in a whopping 33 percent more CUDA cores than its predecessor, the GTX 1060. And extensive tweaks found in Nvidia’s Turing GPU architecture make the RTX 2060’s cores much more capable than the GTX 1060’s, as we’ll see in the benchmarks section. Here’s a look at the GeForce RTX 2060’s specs, and how they compare against the GTX 1060. Nvidia GeForce RTX 2060 vs. GTX 1060 specs. We could’ve certainly outfitted the RTX 2060 with 8GB of GDDR6, but hitting $349 wouldn’t have been feasible. And given that today’s games don’t take advantage of the additional memory, it made sense to price the card more aggressively at the cost of a little frame buffer size. Right now the faster memory bandwidth is more important than the larger memory size. Maybe in a year or two games will come along that need the full 8GB of memory, but we’re just not seeing that right now, and by the time it does happen we’ll probably be on another generation of GPUs beyond Turing and GDDR6 memory prices will be lower than they are today. Moving on, the RTX 2060 Founders Edition strays from the path beaten by Nvidia’s other RTX FE options. 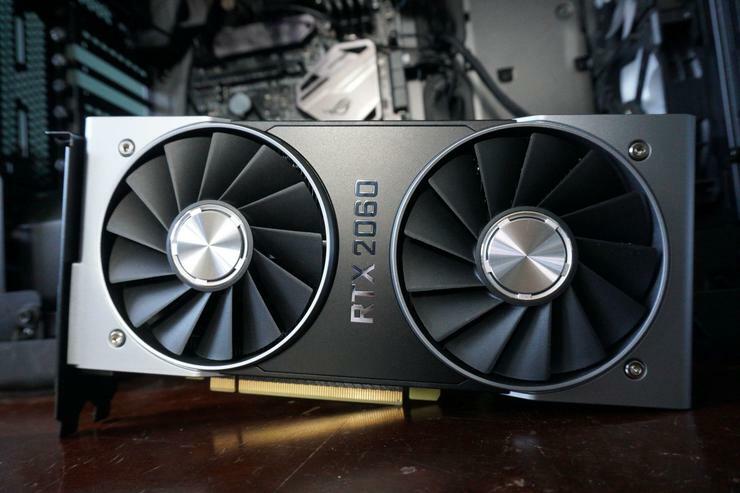 While the Founders Edition versions of the RTX 2070, 2080, and 2080 Ti all come with a mild overclock and premium pricing, the RTX 2060 Founders Edition sticks to the stock specifications outlined above, and the card’s $350 MSRP. The GeForce RTX 20-series Founders Edition cards upgrade to dual axial fan design, and those fans—spread farther apart than you see in most graphics cards—come equipped with 13 blades each. They’re sitting atop a card-length heat sink with a heat pipe embedded in the base plate, and a full-length vapor chamber to dissipate heat from the GPU and other components. A forged aluminum shroud covers those cooling components, curving around the end of the card to transform into a sleek backplate with the graphics card’s name emblazoned across it. It’s an utterly gorgeous enclosed design. Nvidia equipped the GPU with the typical Founders Edition port loadout; you’ll find HDMI, dual DisplayPorts, DVI, and a VirtualLink USB-C port for standardized VR headset connectivity. Once compatible headsets start coming out, that is. One thing you won’t find? An SLI connection. Nvidia restricts multi-GPU support to the RTX 2080 and 2080 Ti alone this generation. The GeForce RTX 2060 does have dedicated RT cores, though—30 of them, compared to 36 in the RTX 2070, 46 in the RTX 2080, and 72 in the $1,200 GeForce RTX 2080 Ti. In Battlefield V, the only game to support real-time ray tracing thus far, Nvidia says the RTX 2060 can nearly hit 60fps at 1080p resolution with all graphics settings—including ray tracing—set to Ultra, or easily clear 60fps if you set ray traced reflections to Medium instead. 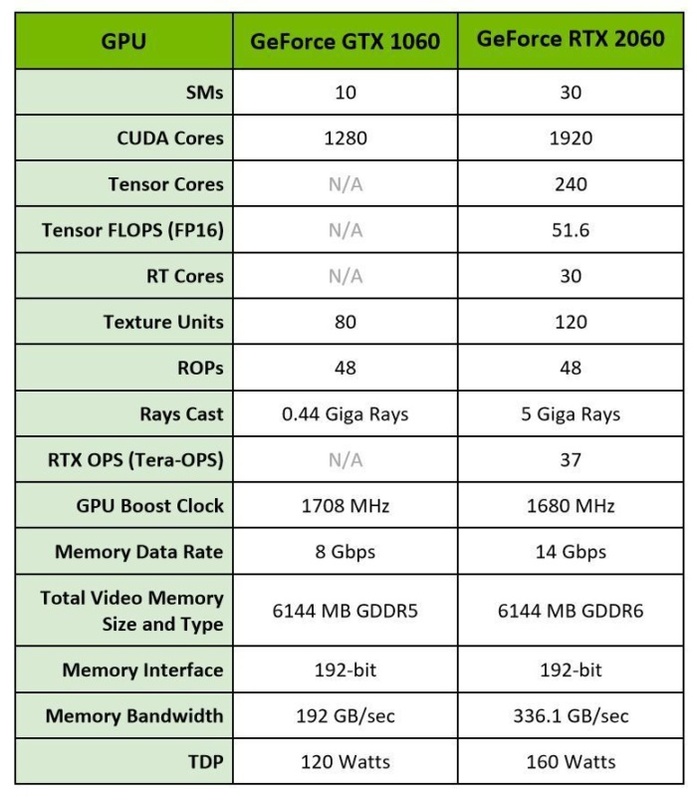 A future BFV update will add in Nvidia’s performance-enhancing Deep Learning Super Sampling technology, too, and Nvidia claims that will boost ray tracing performance even more, as shown in the chart below. While Nvidia didn’t share configuration information about the test system, the stated results were generated on the Arras multiplayer map. To show off the promise of the cutting-edge ray tracing technology, if you buy a GeForce RTX 2060, Nvidia will toss in a free copy of Battlefield V, or Bioware’s upcoming Anthem. Got it? Good. Let’s see how this card handles in a bunch of others game.